Nissan Frontier Forum > Nissan Frontier Forums > General Discussion > Reduced payload capacity of my DR? Reduced payload capacity of my DR? This sticker has been applied to the driver's side door jamb of my '16 Crew cab DR. 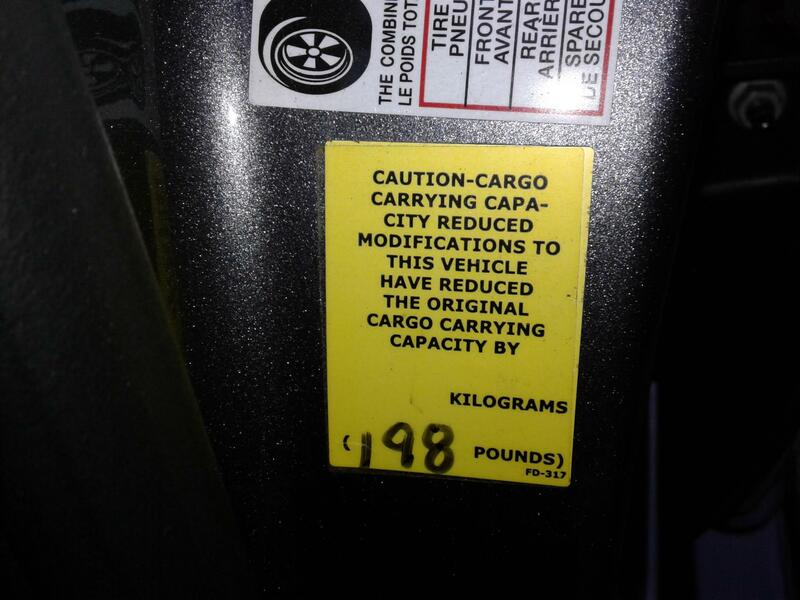 It states due to modification, my payload capacity has been reduced by 198 pounds. Anyone know if this is from the factory and what the modification was? Tow hitch. It's not installed at the factory, but later on. OP, do you have a topper installed? Does our OEM hitch really weigh 198 lbs? My guess would be no. I have this same sticker...and my '15 KC SV 4x2 6-sp comes w/ the VTP items as standard equipment. So, seeking enlightenment. 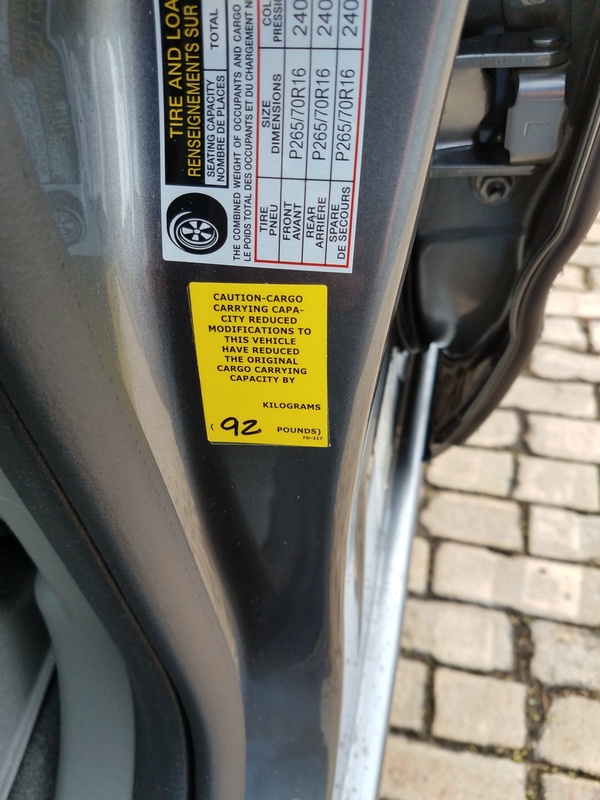 I had an ARE topper installed, but not sure if this sticker is from the installer or factory? You have to remember the hitch hangs off the very end of the truck, so, no, it doesn't weigh 195lbs, but, it has the same effect. From what I remember, the hitch is not installed at the factory, but installed along the way. Dealer? Up fitter? Either way, when yo ubuy the truck new with the hitch, it's there. Dealer installed accessories (tow hitch, running boards, bed cover/cap, etc.) have mass so you they reduce your payload accordingly. Ah! Thanks! It doesn't have a topper, but it does have a dealer installed tow hitch and bed liner, so I guess that's it. Thanks everybody! I too have the sticker and a dealer added tow hitch and bed liner on my 2019 but I think mine says 96. As you can see I have a the crew cab and short box. How heavy is the bed liner because I'v installed much bigger hitches on 2 older vehicles and they were not very heavy. I'm now wondering who has the typo? Last edited by Cliff Hartle; 04-12-2019 at 02:32 PM.